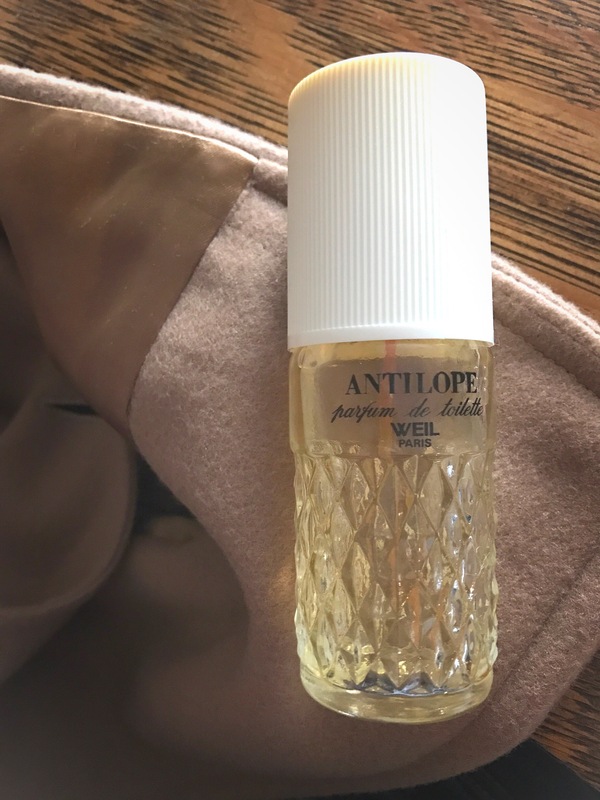 Antilope (Weil 1946) opens with Neroli and aldehydes. And then there’s this intoxicating, soft, lush herbal rose. It’s a rose accompanied by gentle florals like violet, and a misty jasmine, and carnation. There’s spicy patchouli, a sandalwood warmth, airy oakmoss and a tender clary sage. Sweet, almost sugary musk, tonka bean and amber are reminiscent of the olfactory delight from a savory dish right out of the oven in the American Deep South. But, all these sensuous, powdery and rather rambunctious notes are kept respectable by the iris, rose and vetiver. Top notes: neroli, bergamot and aldehydes. Middle notes: clary sage, rose, lily of the valley, jasmine, carnation, iris and violet. Base notes: sandalwood, vetiver, patchouli, tonka, amber, oak moss and musk.